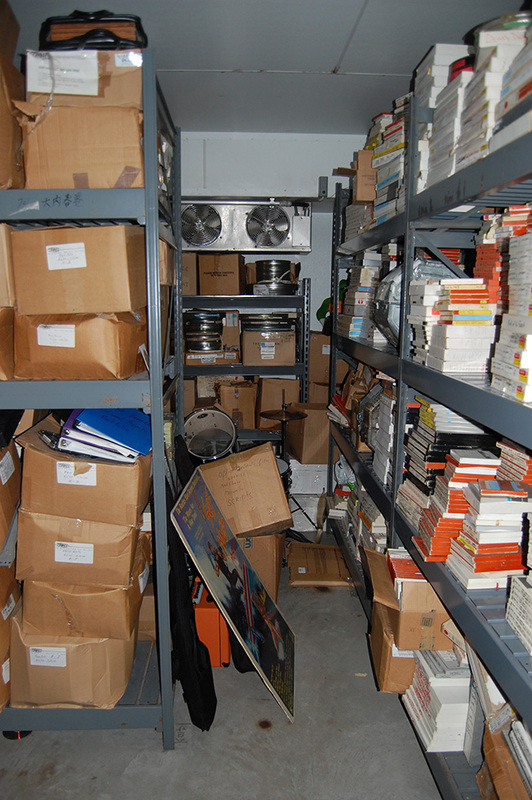 From there, it was time to head up the stairs to the offices. 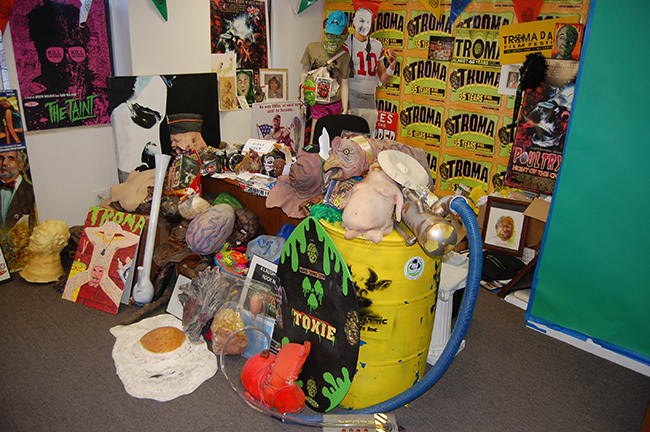 The first thing we checked out was Lloyd Kaufman’s desk. 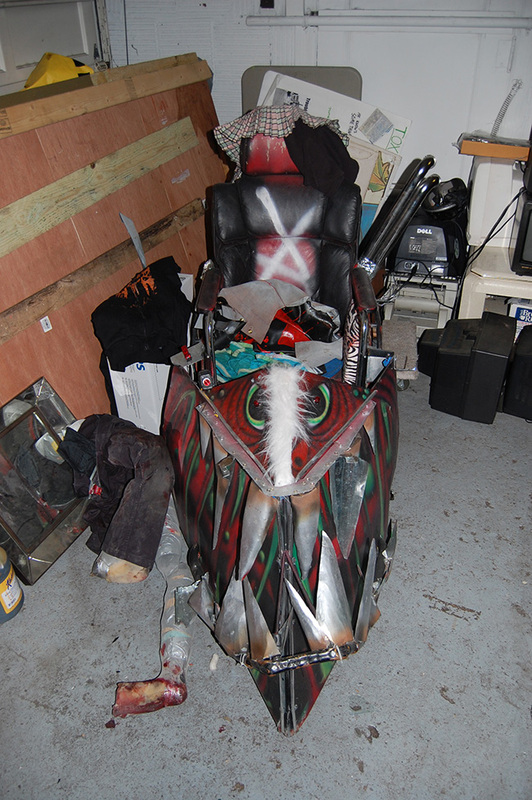 It looks like this…. 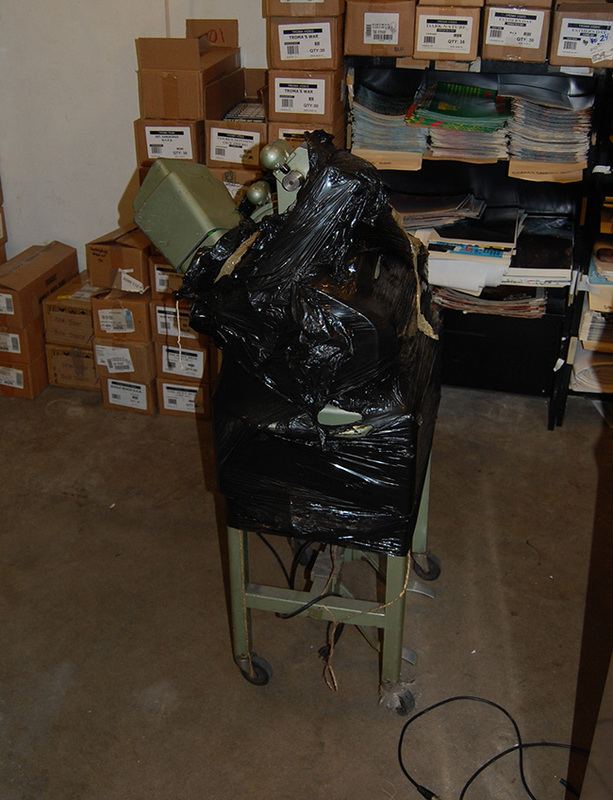 ….except when he’s not there, in which case it looks like this! 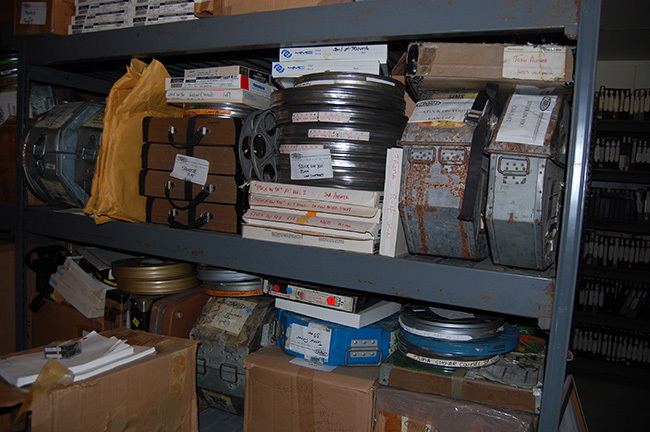 Around the corner is an editing suite. 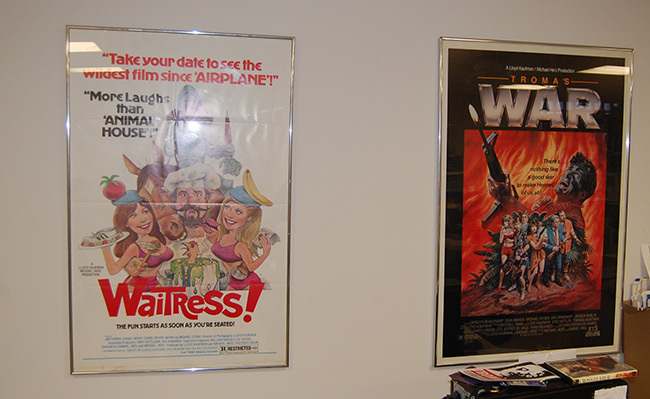 Troma does more or less everything in house so it makes sense that they’d have a set up like this. 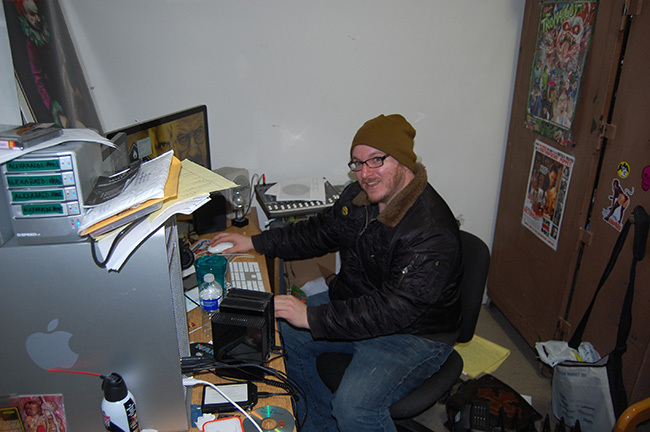 And if you time your arrival just right, you might get to meet Travis Campbell, the man behind Mr. Bricks: A Heavy Metal Murder Musical! We yapped at Travis and distracted him from what he was working on long enough to learn that not only is Mr. Bricks unusually popular in Japan but that we probably haven’t seen the last of him. Hooray! 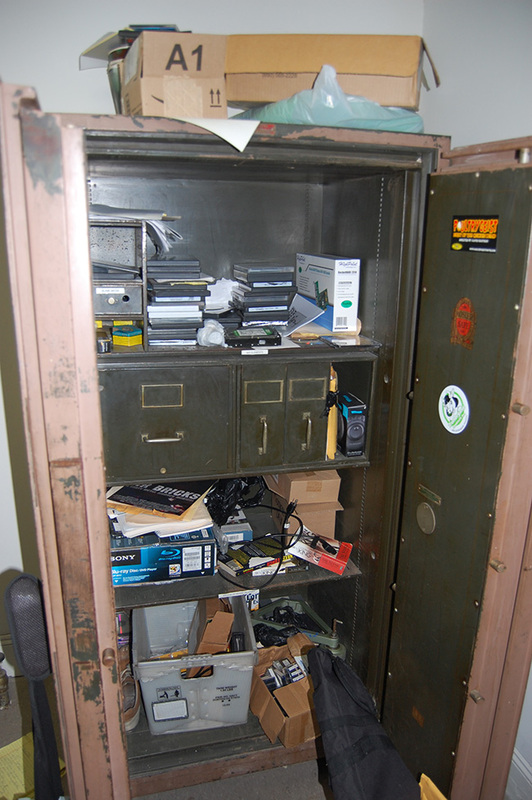 Located behind Travis’ work station was what looked like an old bank safe full of… stuff. 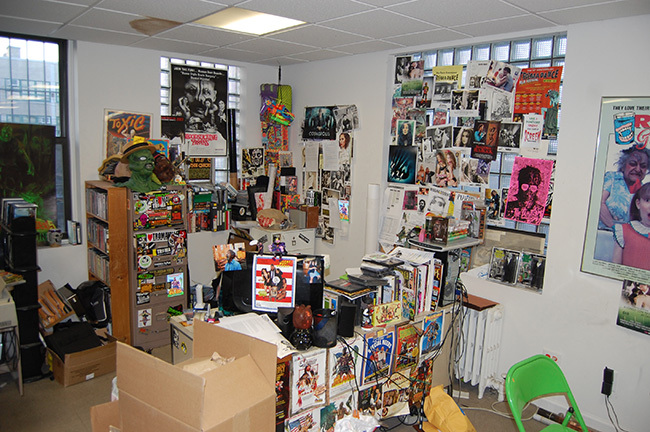 As our tour continues you’ll realize what we realized: Troma’s facilities are jam packed with… stuff. Lots of it. 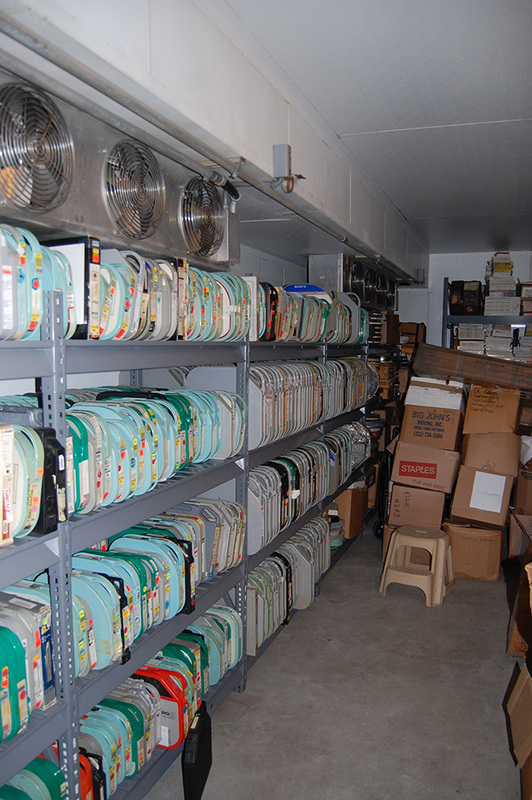 At any rate, behold the safe full of stuff! 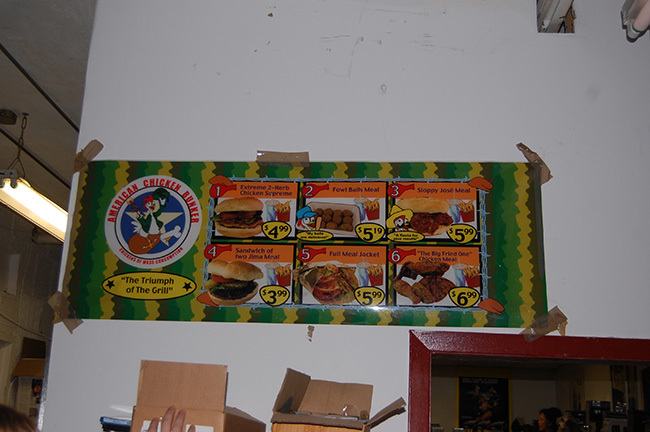 ...now check out the close up shot of what’s taped to the monitor! 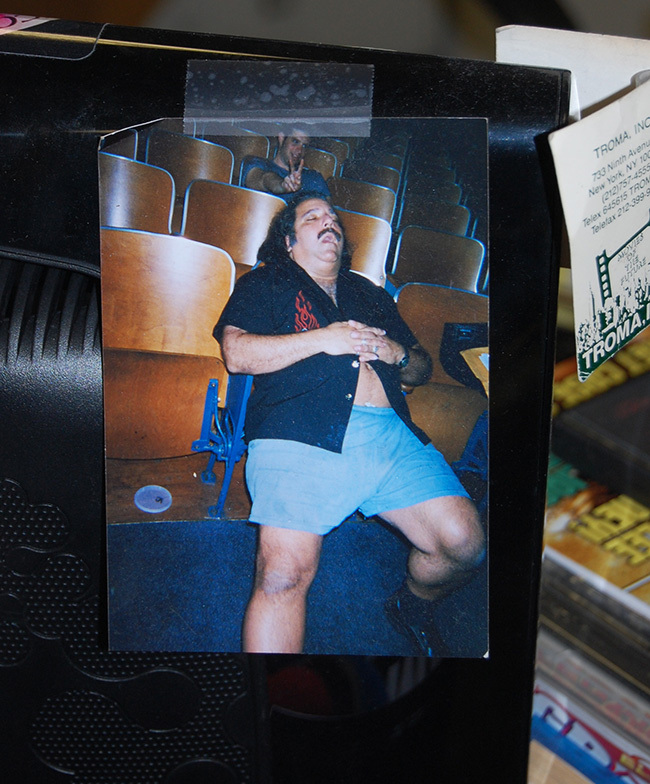 It’s not every day you encounter random pictures of sleepy boy Ron Jeremy! 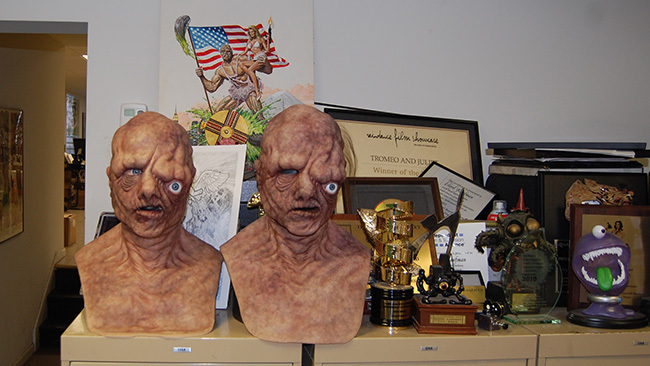 There are also a lot of Toxic Avenger heads around the offices. Here are a few of them! And Sgt. 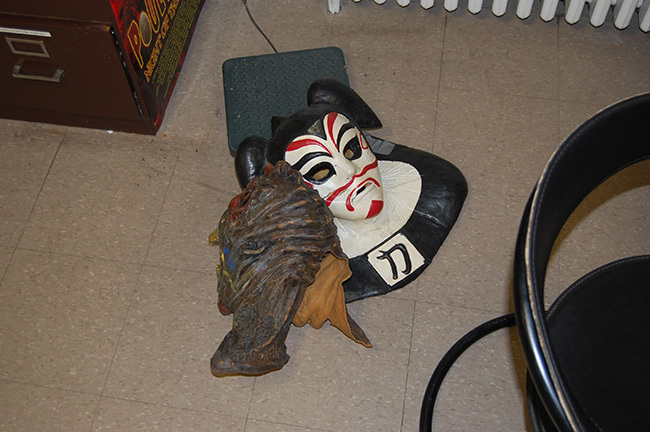 Kabukiman too! His head is just hanging out on the floor for some reason. 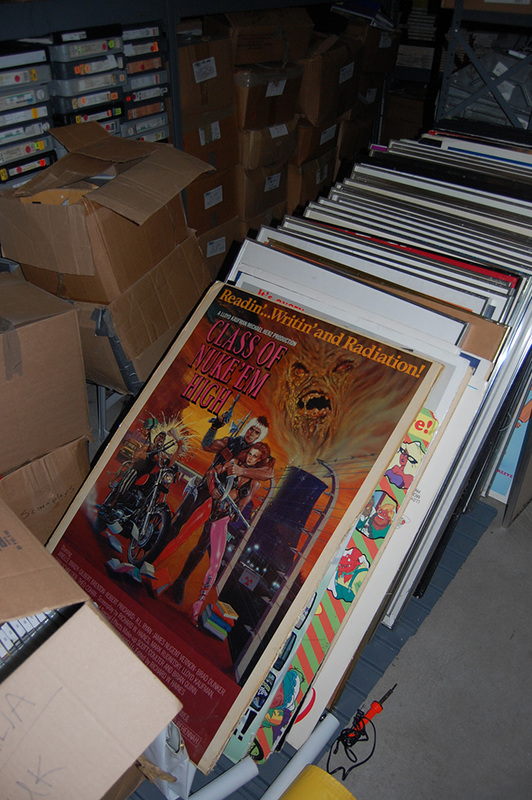 It was also very cool to see all the vintage one sheets for various Troma productions and acquisitions. 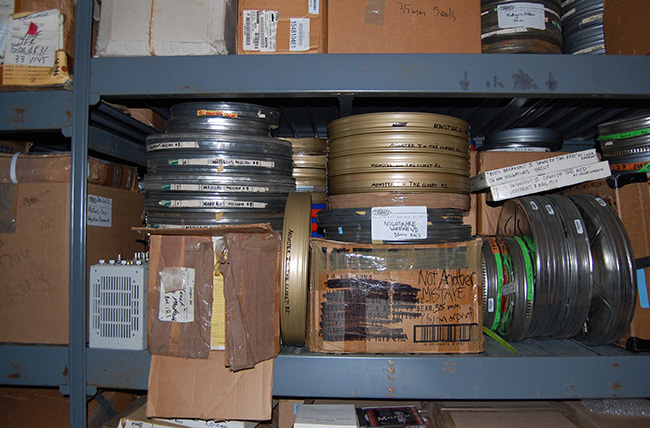 With forty years of failed film-making under their belts, there were loads of these things all over the place. Behold! Our tour guide’s name was Justin Martell, a friendly guy with a great moustache. 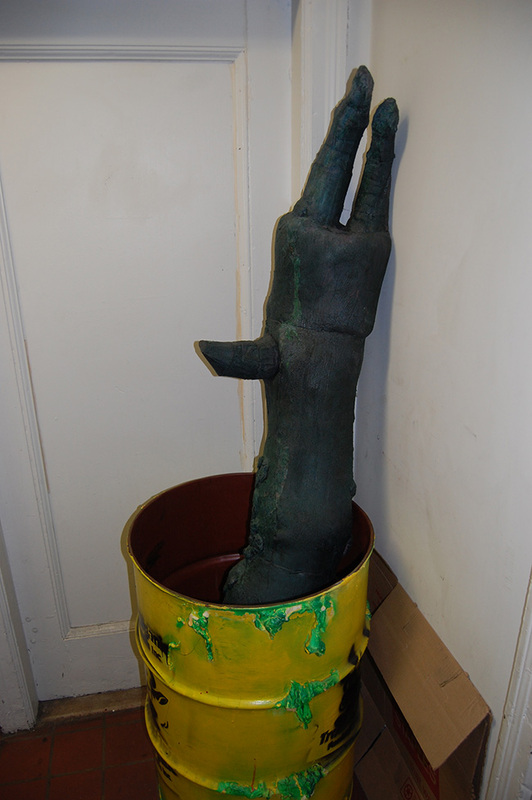 He was kind enough to show us around and here he shows off his hand modeling skills with some other prop left over from the Return To Nuke’em High shoot! 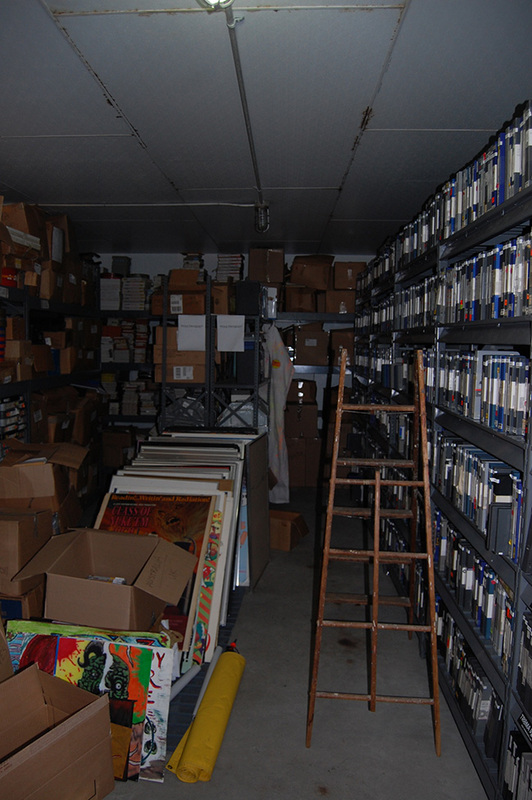 From there we went downstairs, where the building transforms from an office space to a magical storage facility filled to the brim with trashy B-movie goodness! 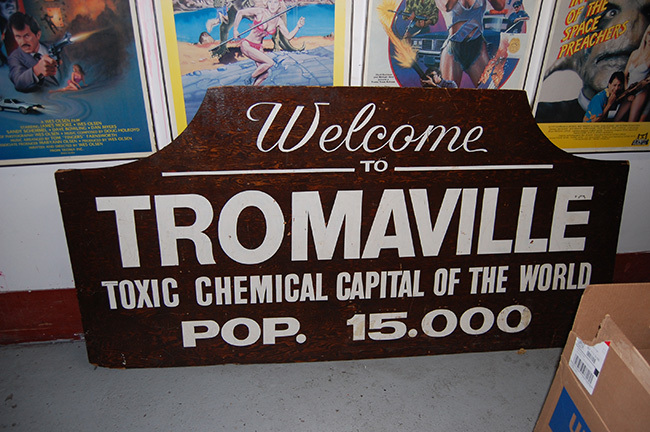 This sign greets you as you head in – a familiar sight to anyone familiar with Troma’s productions! 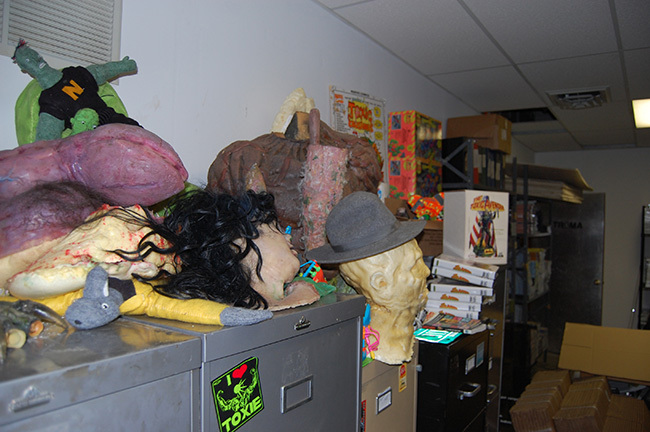 There are lots of props in the basement too, including a wheelchair tank thing from Return, a menu board from Poultrygeist, and random prosthetics and stuff. 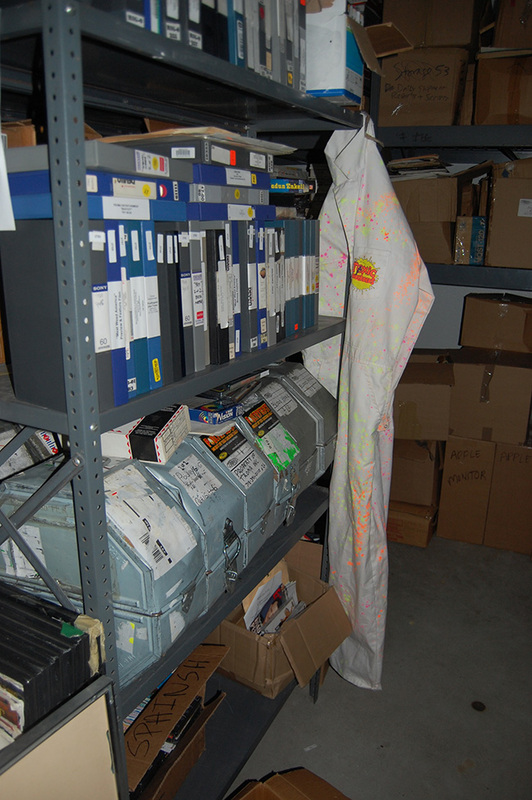 Alison was excited to find STACKS of DVD copies of The Stabilizer – and why shouldn’t she be! 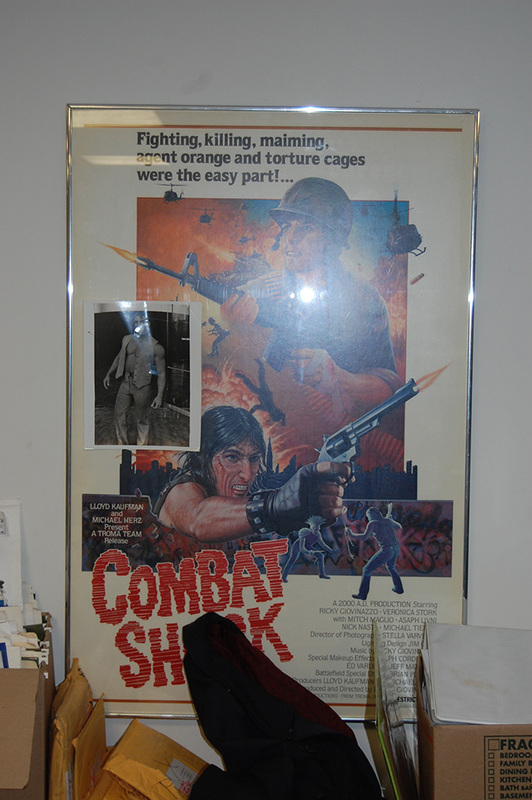 And check this out – the machine used to help edit Rocky way back when Lloyd Kaufman and Michael Herz first started out and freelanced on various mainstream projects! 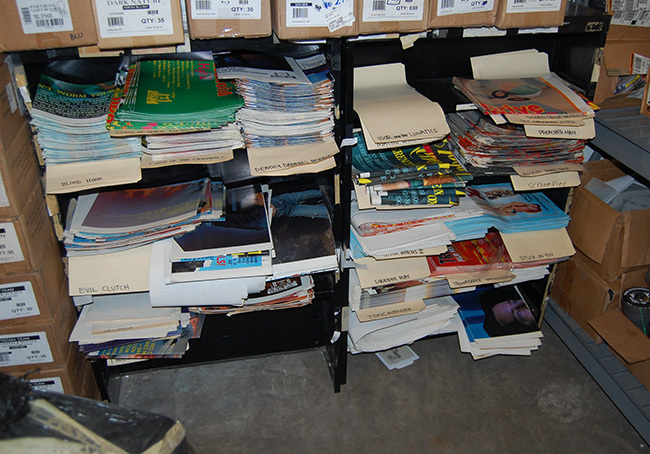 There are also tons of one sheets going back decades and showcasing the studio’s rich history of crazy independent cinema! 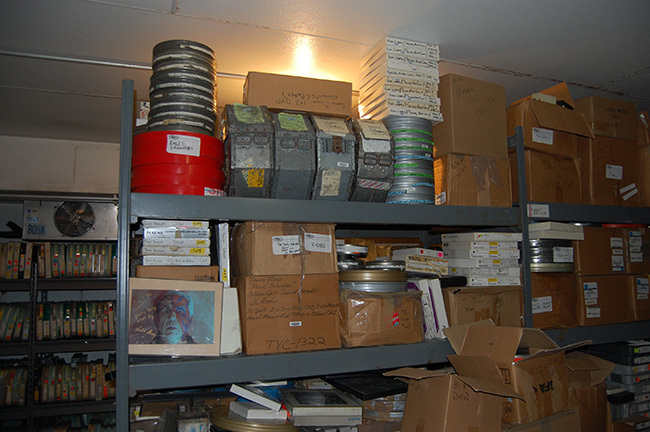 And last but not least, if that weren’t enough, the back room is jam packed with film canisters and master tapes and other media – pretty much everything Troma has touched is in here, stacks of stuff everywhere! All in all, this was a pretty great trip. 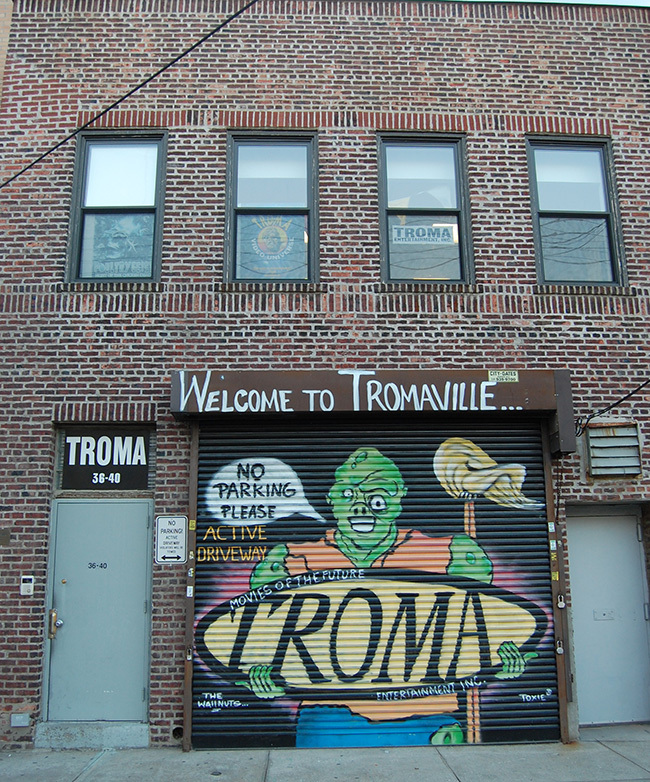 Troma’s got an amazing history and it was a lot of fun to get to sift through some of it. 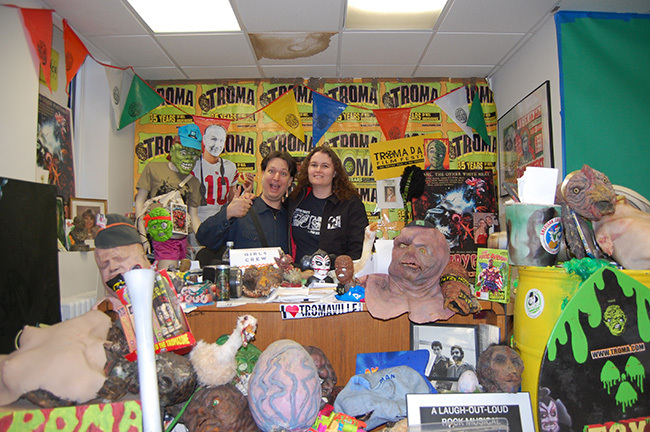 Thanks again to Justin for showing us around and to Lloyd Kaufman and Michael Herz, who weren’t around and probably didn’t know we were monkeying around at their desks but who have managed to keep the crazy train rolling for four decades strong! 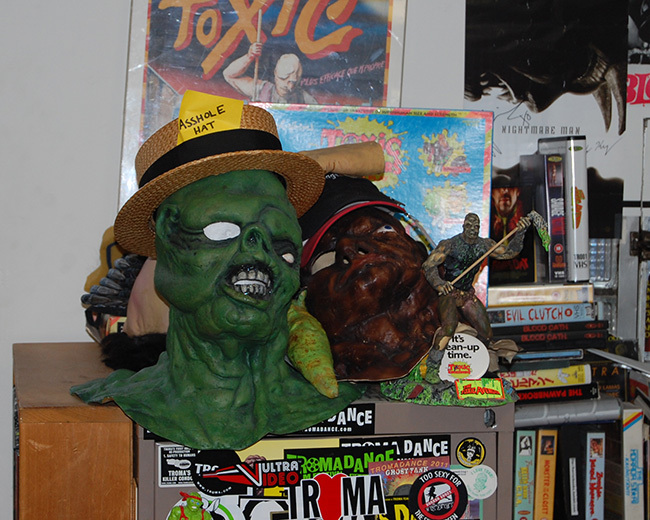 Check out Troma’s website by clicking here and show them some love by buying something! I'm wicked jealous. That looks like it was a fun time. did you get any souveneirs?And did I label that box in the fifth pic up from the bottom? "Spainsh"
We got some DVDs for review as well as some stickers and print flyers. It was fun indeed. Everyone there seemed really nice and down to earth. I loved how they're located right next to a row of houses and right across the street from a school. There was a mom and daughter outside on the steps of the house adjacent to Troma. How did that mom explain what was going on the day they noticed the garage door painted with Toxie to her?! We need to live on that block! Great article, and looks like an incredibly fun trip!